A continued declining economy is causing more people to use credit to purchase fuel to travel and just to keep dinner on the table. Aug. 12, 2011 - PRLog -- (San Antonio, Texas) -- Credit.Ultisky.com today announced that the use of credit cards to obtain gas and food has reached an alarming rate. The content management website focusing on credit reveals that people are desperate and struggling to cover essential necessities. Citing using credit cards for gas and food is now a survival approach. 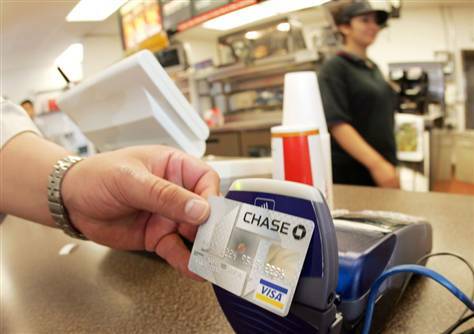 According to Credit.Ultisky.com who sources The Christian Science Monitor, gas and food may be driving the increase in credit card use. The Federal Reserve has revealed that the use of credit is three times as much as projected. Stressing that credit increased by $15.5 billion and the largest gain since August 2007. Which is after a $5.08 billion advance in May. Revealing the New York Post reports that US consumer borrowing jumped in June by the most in four years, led by a gain in non-revolving debt, including student loans. In some instance it is related that using a credit card like American Express to purchase food may be a good option. For example when you use American Express to purchase groceries you will earn double points at grocery stores. So those points will be paid back in a full following month. Credit.Ultisky.com provides resourceful information to help consumers to better understand what is credit and tips to use credit wisely. Even dedicating content management for credit recovery and credit cards. The website operates as a credit training tool through providing knowledge content management about the subject matter. Researching and sourcing information from a variety of media outlets covering news and information about credit. To learn more and stay updated about credit news and storylines please visit http://Credit.Ultisky.com .